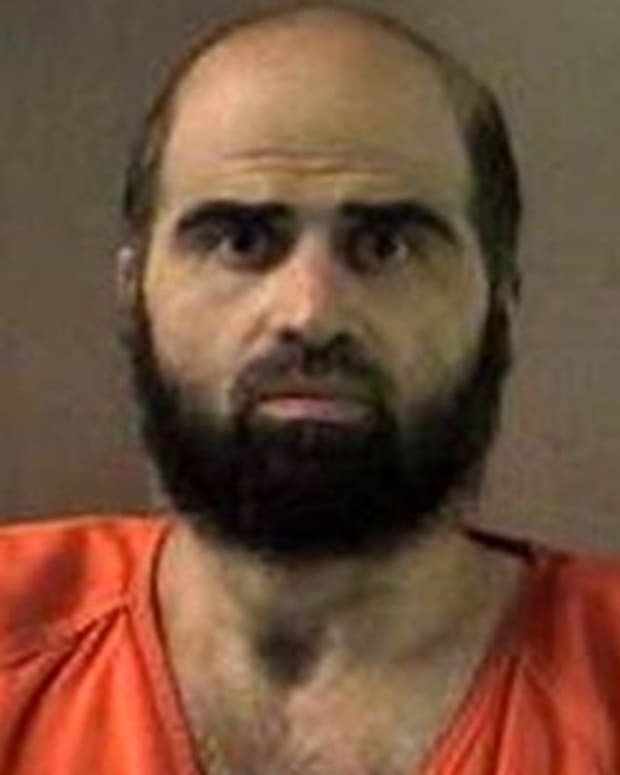 Fort Hood Gunman Hasan Alive & Talking; What Now? 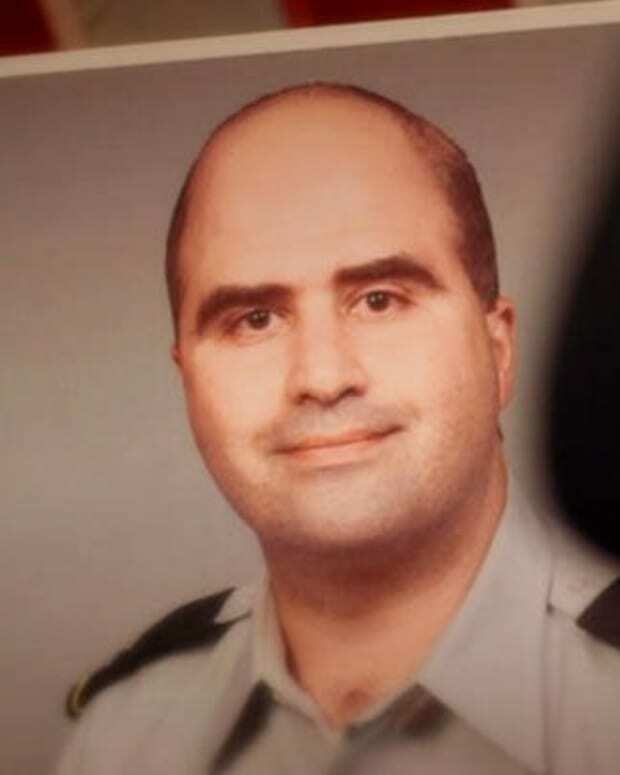 Major Nidal Malik Hasan, the Army psychiatrist accused of killing 13 soldiers and wounding another 29, is alive and talking. Assuming he is indeed guilty of the crime, some compelling questions will arise in terms of next steps. Questions like: Can we learning anything about motives or radical Islam from Hasan or is he simply "a crazed madman"? Should he face charges of treason, which could lead to the death penalty? Listed in "critical but stable" condition, Hasan has been talking to medical staff since he came off a ventilator on Saturday, according to Dewey Mitchell, spokesman for Brooke Army Medical Center in San Antonio. Hasan is being treated for four bullet wounds -- fired from the guns of two civilian police officers, bullets that stopped the rampage. It&apos;s not clear when investigators will talk to Hasan. Army officials would not respond to requests for comment from the Associated Press. When they do eventually talk to him, Hasan may tell them the alleged motive behind the shooting. Witnesses say Hasan jumped on a desk and shouted "Allahu akbar!" -- Arabic for "God is great" -- before opening fire. According to the London Telegraph, there could be a link between Hasan and a radical American Imam living in Yemen. This man, Anwar al Awlaki, posted on his Web site that Hasan is a "hero." Awlaki left the U.S. in 2002 and was arrested as part of an al Qaeda sweep in Yemen in 2006. He was released a year later. While in the U.S., Awlaki preached at a Virginia mosque where two 9/11 hijackers worshipped. Hasan&apos;s family also worshipped there. It&apos;s not clear if Hasan himself ever attended that mosque, or had direct contact with Awlaki. The Falls Church mosque is one of the largest on the East Coast and thousands of worshippers attend prayers and services there every week. Sen. Joe Lieberman, (I) Connecticut, said Sunday he wants Congress to determine whether the shootings constitute a terrorist attack and whether warning signs that Hasan was embracing an increasingly extremist view of Islamic ideology were missed. "If Hasan was showing signs, saying to people that he had become an Islamist extremist, the U.S. Army has to have zero tolerance," Lieberman said on "Fox News Sunday." "He should have been gone." If indeed his religion was the motivating factor behind the shooting, what can we learn from Hasan? Eight years after 9/11, Americans don&apos;t truly understand why many Muslims around the world hate our country and everything it stands for. Perhaps hearing it from a fellow American might yield useful information. Or should we listen to anything that comes out of the mouth of a man who murdered 13 of his fellow soldiers in cold blood? Why Did No One Report Warning Signs of Fort Hood Gunman Hasan?